What are the tax implications regarding personal allowances and the rent-a-room scheme? I am a married 75 year old pensioner who works part time and I use all of my personal tax allowance. My wife is also 75 years old and takes in foreign students in the rent-a-room scheme. 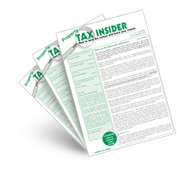 Are there any tax implications we should be aware of? If your rental income qualifies for rent-a-room relief, then it is generally exempt from income tax. See http://www.hmrc.gov.uk/manuals/pimmanual/PIM4001.htm. It will have no impact on your personal allowances, i.e. any calculations involving your personal allowances will exclude the qualifying rent-a-room relief income. Perhaps your question is regarding the income limit for age related allowances, which was £24,000 in 2011-12. If you look at http://www.hmrc.gov.uk/incometax/adjusted-net-income.pdf you will see that income for this calculation only includes income subject to income tax – so it excludes qualifying rent-a-room relief income.